Jan. 19 (UPI) — Grammy-winning rocker Tom Petty died of an accidental drug overdose, Los Angeles County Department of Medical Examiner announced Friday. Petty’s family said he was prescribed the medications to treat emphysema, knee problems and a fractured hip, which they said had recently progressed to a more serious break. They said he performed 53 tour dates with the hip injury. “On the day he died he was informed his hip had graduated to a full on break and it is our feeling that the pain was simply unbearable and was the cause for his over use of medication,” a statement on his official website said. His family said they suspected he died of an accidental overdose and the coroner’s report confirmed their beliefs. 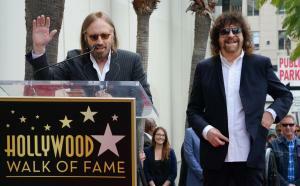 Petty died Oct. 2 at UCLA Santa Monica Hospital after his family decided to take him off life support. He had been found in full cardiac arrest at his manager’s home.